Please contact Mary Graulich, Circulation Supervisor, for any Library Circulation questions via e-mail at mgraulich@dexter.lib.mi.us. Anyone who lives in the Library District is entitled and encouraged to receive a borrowing card. The Library District mirrors the service area of the Dexter Community Schools. This includes the City of Dexter and portions of Dexter, Freedom, Hamburg, Lima, Lodi, Northfield, Scio and Webster townships. Anyone who lives outside of the Library District is eligible to obtain a library card for an annual fee. Any child under the age of 16 in the Library District may register for his/her own card when the parent or guardian signs the registration form and assumes financial responsibility. Children 16 years old or older may register without a parent or guardian’s signature, providing the child can provide the appropriate proof of identification and residency. persons owning property within the district and living outside the district or renters residing within the district. A waiver of the non-resident fee may be obtained and a card issued to people in this category. Proof of ownership or occupancy must be shown and recorded on the registration form. persons who work for a business or other tax paying entity within the Library’s District and living outside the district. A waiver of the non-resident fee may be obtained and a card issued to people in this category. Proof of employment in the form of a letter from the employer, on official letterhead, must be shown and recorded on the registration form. any administrator, educator, other government employee or employee of a non-profit organization residing outside the district but employed by an entity within the district. Proof of current address and proof of employment and position must be presented at the time of registration. Proof of employment in the form of a letter from the employer, on official letterhead, must be shown and recorded on the registration form. Please report all U.S. postal address, e-mail address, name, and phone number changes to the Library. This will help us contact you about your materials and holds. When you come to the Library, you must have your card to borrow books. If you send a friend or family member to pick up your materials, they must have your library card. That is how we know they have your permission to have your materials. Library cards issued to the Library District residents are valid for three years. Library cards issued to special borrowers are valid for one year. The Dexter District Library does not currently have any open Requests for Proposals. Board members are appointed by the local municipalities that founded the Library district. These include Dexter, Scio and Webster Townships, Dexter Community Schools and the City of Dexter. Community members interested in serving on the Library Board should contact the municipality in which they live. Residents of Freedom, Hamburg, Lima, Lodi and Northfield Townships should apply to the Dexter Community Schools. Board members are appointed to four year terms. The Board meets the first Monday of every month in the Library’s Lower Level meeting rooms. The meetings begin at 7:00 p.m. and the public is welcome to attend. ** January 2019 & September 2019 meetings moved to the 2nd Monday due to holidays. 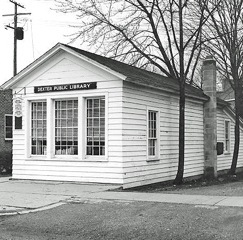 The Dexter Public Library was founded by The Dexter Woman’s Study Club in 1927, first as a shelf of books in a local store and later in the small building on Central Street that now houses the sheriff’s office. 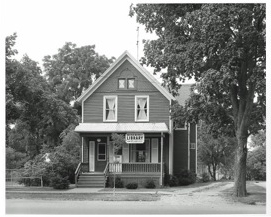 In 1938, the Village of Dexter took over support of the Library, but the Woman’s Club continued to operate it until 1957, when the village assumed management through an appointed “provisional board.” In that same year, the Friends of the Dexter Public Library was organized. In 1963, at a meeting of the Friends, Dexter Village president Bruce Waggoner proposed the purchase of a house at 3173 Baker Road as a Library building. 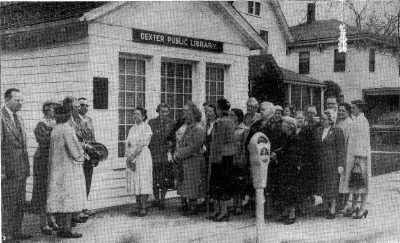 The Dexter Provisional Library Board could not buy or sell real property nor borrow money, so it was suggested that because the Library had always served all the residents of the Dexter School District, a Library district covering the same area as the school district be established under the Dexter Library Establishment Act of 1955. The five municipalities that formed the district included the Village of Dexter, Scio, Webster, and Dexter Townships, and the Dexter Community Schools Board of Education. Each municipality appointed members to the new Library Board and each pledged financial support. 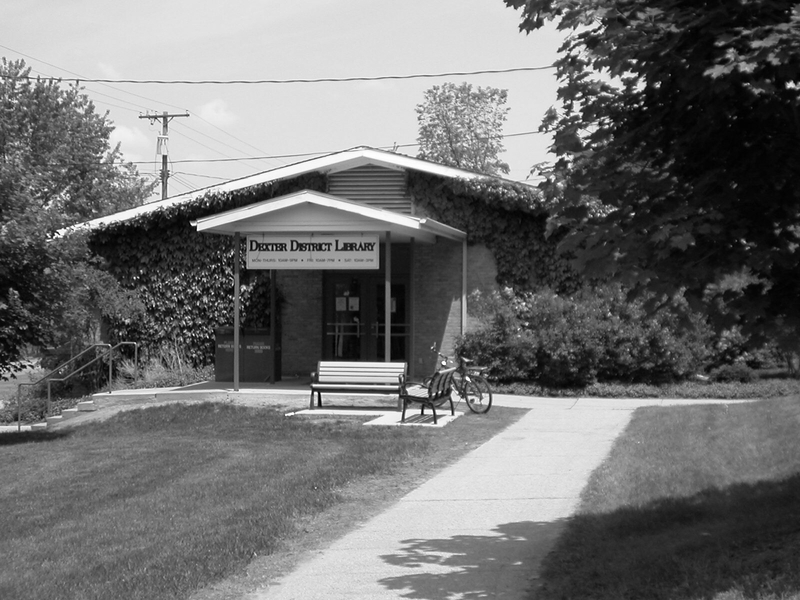 Later, when the Dexter Library Establishment Act of 1989 was enacted, the Dexter Library made the necessary changes to comply with its requirements. By the early 1990’s, it became apparent that if the Library was to grow with the community and provide the kind of library service its patrons expected, it would need more support than the municipalities were able to provide. So in 1994, the voters of the school district were asked to approve 1/2 mil support for the Library’s operations, and they did so by a wide margin. As a result, the Library was able to engage its first professional director, extend its open hours from 26 to 38 per week, add staff, and begin a long-overdue updating and expansion of its collections. The need for more room to accommodate these changes led to the purchase and renovation of the former Methodist Church Education Building at 8040 Fourth Street, and in July, 1996, the Dexter District Library moved into its new home. At the same time, the Library’s open hours were once again extended, this time to 58 per week. In 2009, the Library opened for business at it’s new location of 3255 Alpine Street. Facilities: The Dexter District Library will provide a convenient and inviting facility with a diversity of spaces for various materials, programs, services and staff that serves the entire community. 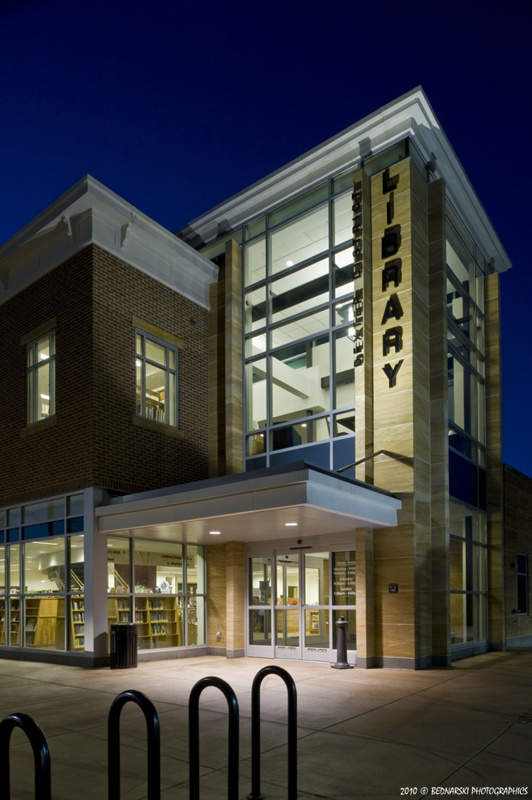 Materials: The Dexter District Library will continually review and evaluate the book and multi-media collections to ensure that the quality and diversity of materials meets the needs of the community. Staff: The Dexter District Library will have a friendly, informed and professional staff to serve an ever-increasing number of customers. Marketing: The Dexter District Library will continually inform and educate our community about the public library, its governance, functions, value and service programs. 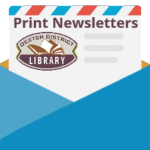 Programming: The Dexter District Library will provide Library patrons with programs and outreach activities that entertain and enrich their lives. The Dexter District Library currently has no openings.